PHOTO: NILES J. FULLER COLLECTION 1985 - CENTER FOR AMERICAN HISTORY, UNIVERSITY OF TEXAS AT AUSTIN. “This Son Is A Stranger To You” is a posthumous release by Texas singer/songwriter Rich Minus. These previously unreleased tracks are taken from his last recording sessions at the legendary Sun Studio in Memphis, Tennessee and were produced by Grammy award-winner Matt Ross-Spang. Something of a well-kept secret, the rough and tumble Minus was part of a clatch of songwriters that included Townes Van Zandt, Blaze Foley and Clavin Russell. 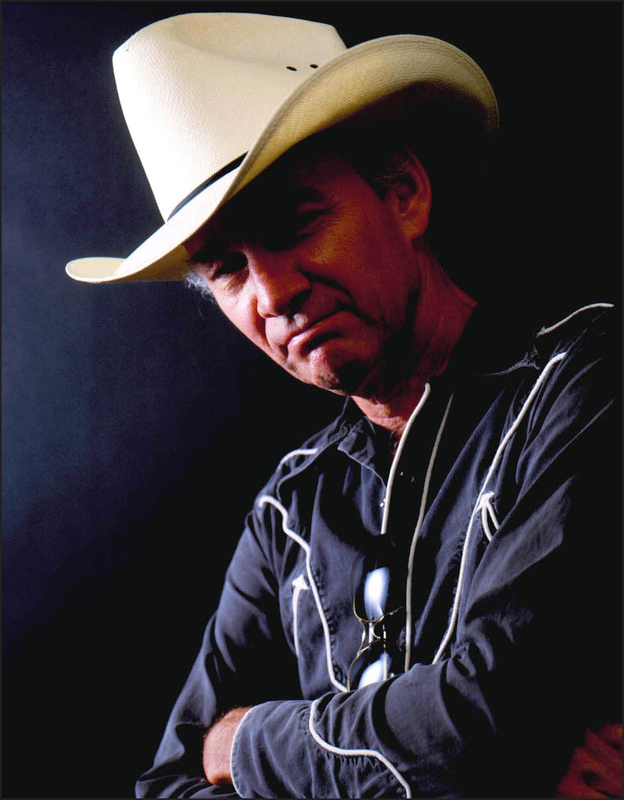 He released 3 full-length albums for the legendary New Rose Records imprint in France in the 90’s and the Texas Tornados recorded his songs. Now Saustex brings you his first-ever official U.S. release that features the cream of his catalog with a great backing band that includes Steve Potts (drums - Al Green, Neil Young, Gov’t Mule), Dave Roe (bass - Johnny Cash, Sturgill Simpson) and firebrand guitarist John Paul Keith (Ryan Adams, Jack Oblivian, The One Four Fives). 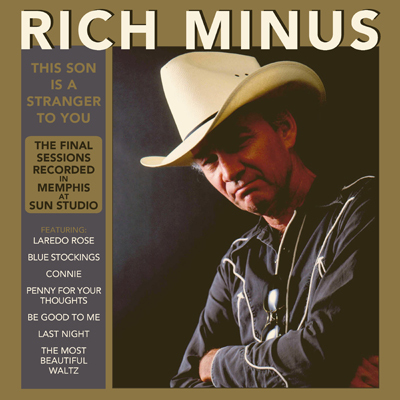 Rich Minus’ roots as a songwriter rested in a loose clatch of fellows that included most notably Townes Van Zandt, Blaze Foley and Calvin Russell, among others. This hard-living bunch represented a movement grounded in 60’s folk, reworked with elements of country and western swing, resulting in a Cosmic Cowboy aesthetic made famous by Willie Nelson, Michael Martin Murphey and others, but with a sadder edge of desperation. Their lyrics carried an empathy for those living on society’s margins. Townes achieved a small level of tortured commercial success in the U.S. while Russell became a bona-fide cult hero in Europe. Blaze Foley was relatively unknown for years before being shot and killed by a son’s friend in Austin in 1989; two decades later a documentary, along with some re-issues, piqued fresh interest in his music . Minus, arguably the most itinerate of them all from a reliability standpoint, left behind a legacy in songs that his more famous friends admired. All of them left behind some powerful tunes if only vague footprints. 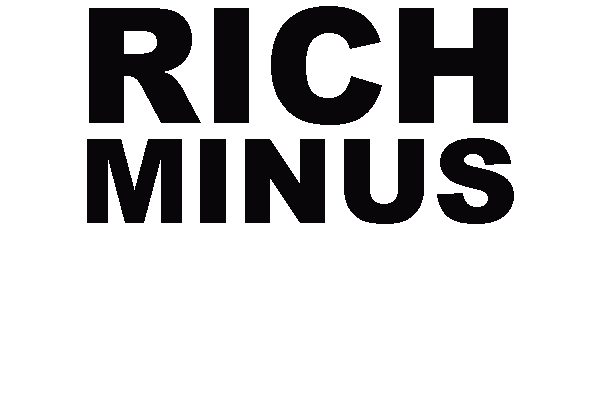 In choosing a title for this posthumous Rich Minus release I wanted it to say something about Rich. After quite a bit of thought I settled upon “This Son Is A Stranger To You”, borrowing and altering the line “the sun is a stranger to you” from one his best known tunes “Laredo Rose”. I won’t go so far as to say it’s perfect - but it reflects his almost total anonymity in the United States, even extending to his dueling home bases of Austin and San Antonio, Texas. During the vaguely six-year period from 1990-1996 Rich was on a roll and had a promising songwriting career, releasing 3 full-length solo albums for the French indie-powerhouse New Rose Records and a fourth for Last Call Records as well as having his song “Rockin’ the Republicans” (covered by old friend Calvin Russell) become a minor hit in France, and, “Laredo Rose” and “Rosa de Amor” (a Spanish re-interpretation of “Laredo Rose”) recorded by the international Tex-Mex supergroup Texas Tornados.